Stack Bower’s Hong Kong Auction will take place from 2nd to 4th April. 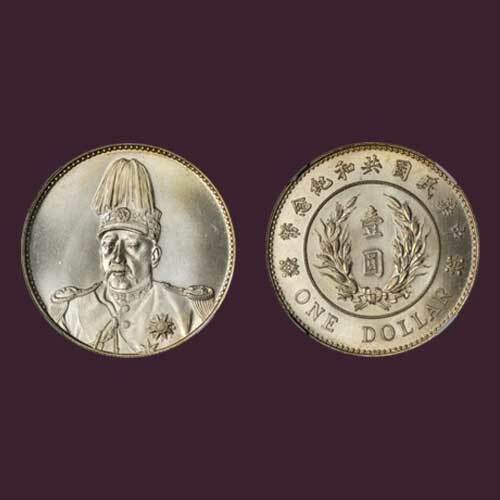 A Chinese Dollar featuring Yuan Shih-kai, wearing a tall high-feathered military hat, in Superb Gem condition is going to be offered. Yuan Shih-kai is in his complete military regalia. His jacket displays his medals; a sash is worn across his chest. The design highlights his power in the Chinese Republican military and government. Yuan Shih-Kai was an important general and politician. He undertook many important military reforms. He was responsible for replacing monarchy to form a republic in China. His military reforms also gave space for rival warlords who competed for power after his death. The army started getting divided. Yuan also tried to restore the monarchy by declaring himself as emperor. This tarnished the ideals of the Republican movement.